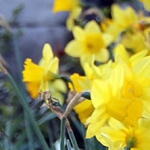 Home / Articles/ Spring clean your QMplus area with this handy checklist! Here are some ideas to get you thinking about how to tidy up your module area so that it loads faster and at the same time get it ready for the exam period or for your teaching over the summer. Look at your Module list in My QMplus.. unenrol yourself from the modules you no longer teach on…if you can’t do it yourself then contact your local e-learning support or raise a helpdesk ticket (its-helpdesk@qmul.ac.uk). Delete all the modules that no longer exist. If you need to keep a copy check on the archive first where they should be accessible. Tidying up QMplus like this will make it run much faster for everyone! Send the module address to its-helpdesk@qmul.ac.uk if you can’t delete. Convert large PDF files in your QMplus module to QMplus books this will reduce the size and make it much easier to view for students on mobile devices. Come along to one of our drop-in sessions on the Mile End Campus (1-2 Tues/Thurs) to find out how to do this. Remove all the additional files from the top of your module (we call it Topic Zero). 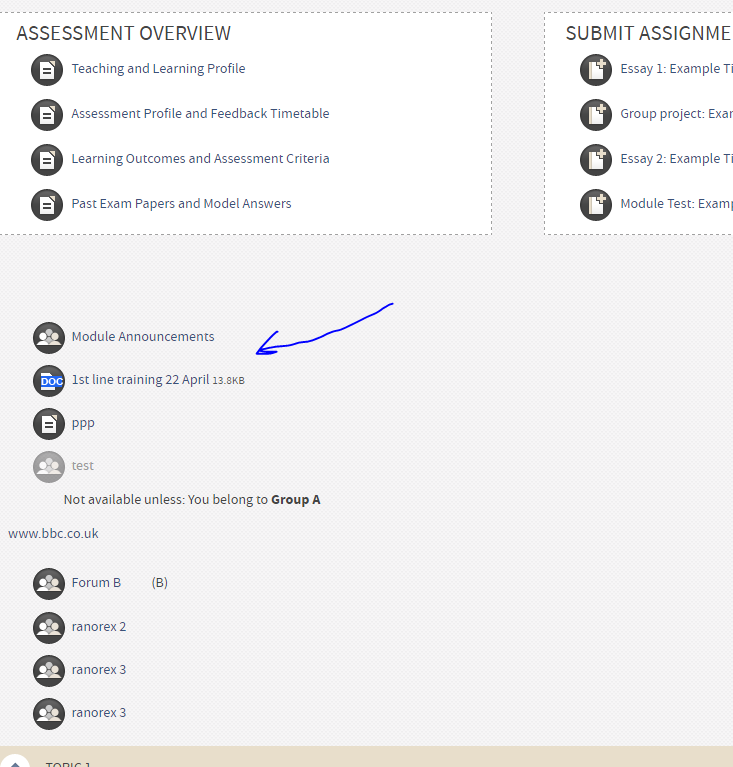 Keep the ‘admin’ space at the top of your module as short as possible so teaching content shows on smaller screens. If you don’t know where to put things then add a new topic at the top and put everything in there. Check for broken external weblinks – and while you are checking links do you have any descriptive text explaining to students why the link is important? 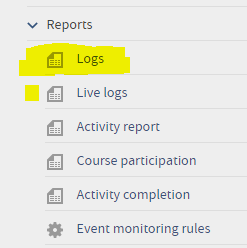 Check your course logs to see what students are looking at and downloading, if they aren’t using resources it might be time to delete or modify them? 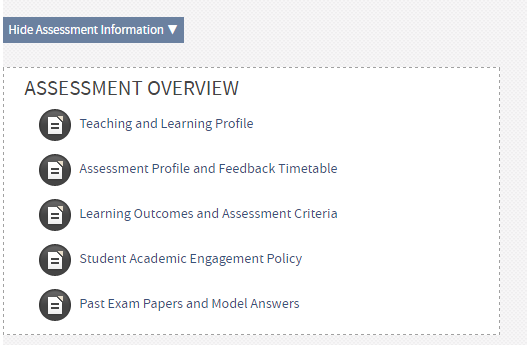 Check your Assessment information..is the content up-to-date. E.g. Is the teaching and learning profile still correct? Move ALL audio and video files uploaded to QMplus into QMplus Media and delete the content in QMplus – this will definitely make your module load faster. Large image files need to be resized before being uploaded to QMplus. Use the freely available web tool PIXLR to downsize your images. Delete any hidden files lingering in this year’s module e.g. last year’s lectures and other resources. These files are in the 2014-15 QMplus archive so please delete them NOW! Have you provided a link/s to the relevant exam papers? Highlight specific exam resources in a custom HTML block (e.g. 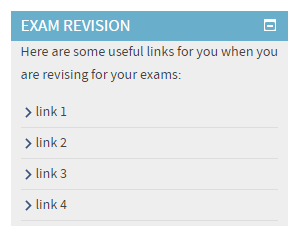 with links to relevant exam info). Release your Q-Review lectures to your students via the Q-Review Block if you haven’t already done so. Why not record yourself doing some exam revision exercises and post them into QMplus. You can download Personal Capture or use The Google Chrome extension for QMplus Media. Alternatively you could book our e-learning studio to make revision videos. How easy is it to find what you’re looking for in this list? Try using labels and indendation to make lists of resources easier to scan. Have a look at your module homepage on a tablet or smartphone….does it look like you expected? If it doesn’t then consider how modifying the layout might improve things? If you are not sure what to do or how to modify things then you could arrange to talk to a member of the e-learning team….just make a booking on the Book a Learning Technologist page. How are you structuring your topic sections? Weekly? By topic? By content type? 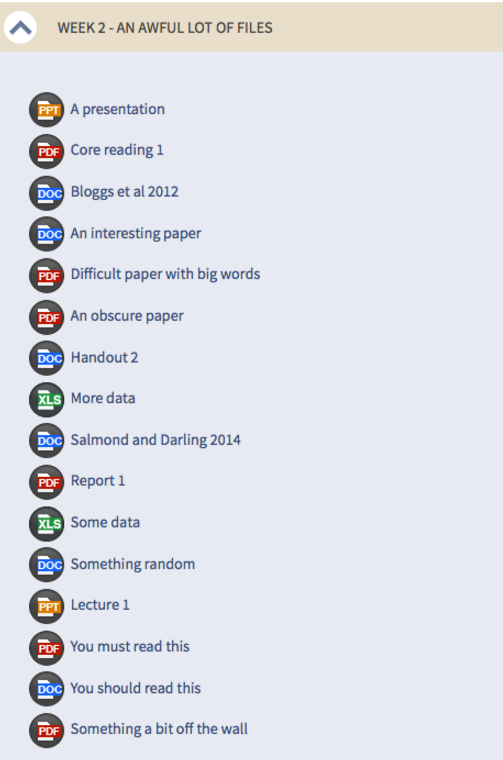 Should you really be putting all your lectures into one section? Is the method you use still appropriate? If you are not sure then now is the time to ask your students what they think. Convert your static reading list to a dynamic one using TALIS Aspire. You can add all kinds of content beyond just books and journals and it can also generate a CLA licence coversheet for scanned chapters of books. Would you like to start encouraging your students to reflect on aspects of their learning, produce a multimedia webpage or work in groups? QMplus Hub could be the tool for you. If you are interested in these things then get in touch with us about running a bespoke session with your course/programme team..or make an appointment with us directly to discuss your options. Would you like to provide opportunities for students to interact and collaborate online? We’d be more than happy to talk how this might work in your context. You can drop-in and discuss this or sign-up for one-to-one session. Have you seen something on TV lately that you’d like to share with your students? This is now easy to do with the ‘Box of Broadcasts’ service ..find out how to add TV and Radio clips and whole programmes to QMplus by reading our guide.